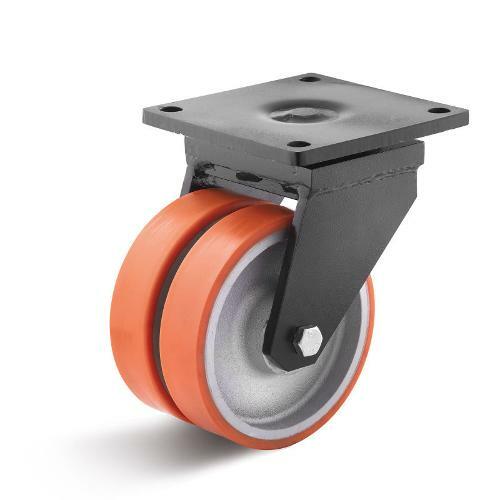 Heavy-duty castors with polyurethane wheel - wheel body made of special grey cast iron with ball bearing - tread made of molded polyurethane, approx. 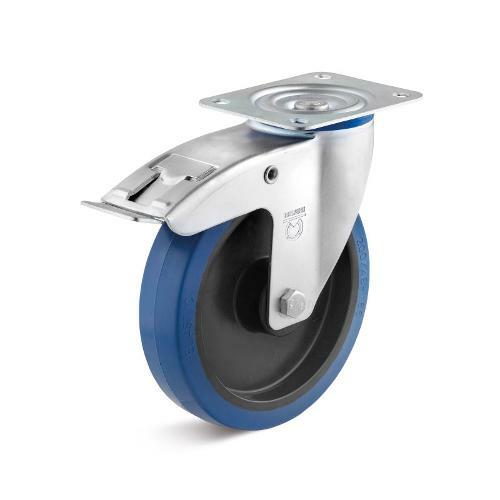 95° shore A - heavy welded steel construction The strongest Torwegge housing series consist of a welded steel construction for maximum dynamic stresses. 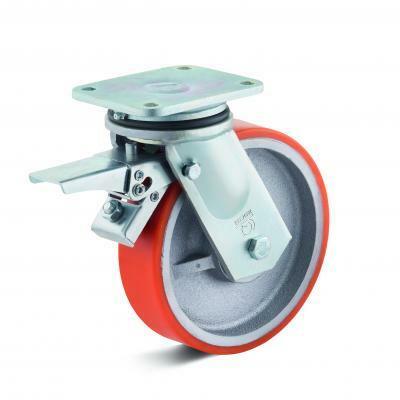 The swivel castor housings are equipped with sealed axial rib ball bearing an tapered roller bearing and thus particularly sensitive against surges and beats. 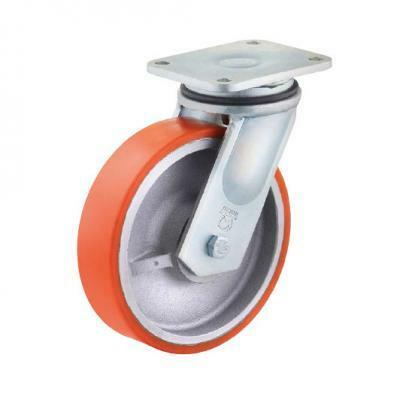 The housing head is screwed and secured by a heavy center bolt. 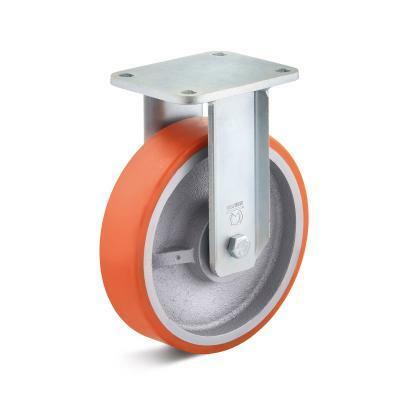 The material polyurethane (PU) has a high load capacity with low abrasion. It also features high chemical resistance. 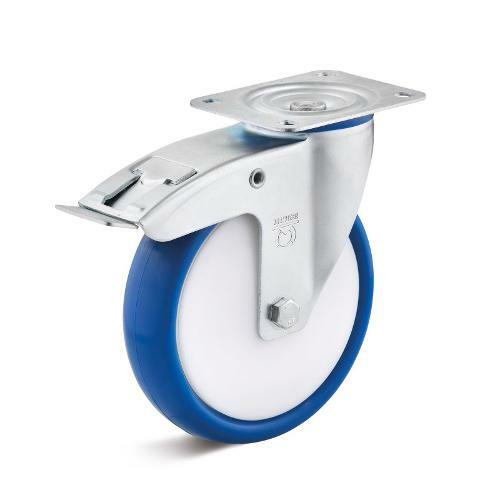 These properties make polyurethane suitable for almost any application. In addition, PU offers low rolling resistance.